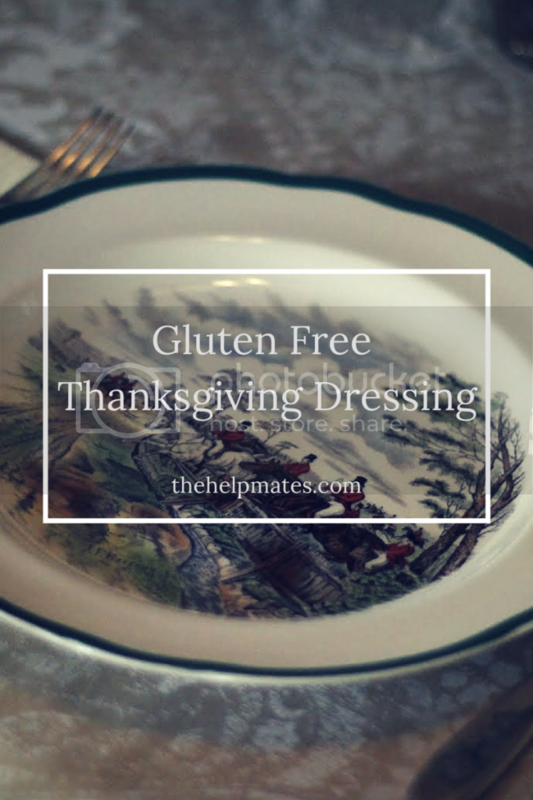 Added bonus: you can completely assemble the dressing and then freeze it so that you just have to thaw it the day before your big feast and pop it in the oven to cook, saving precious time and energy the morning of Thanksgiving. In fact, mine is in the freezer right now, waiting patiently for a week until the big day. 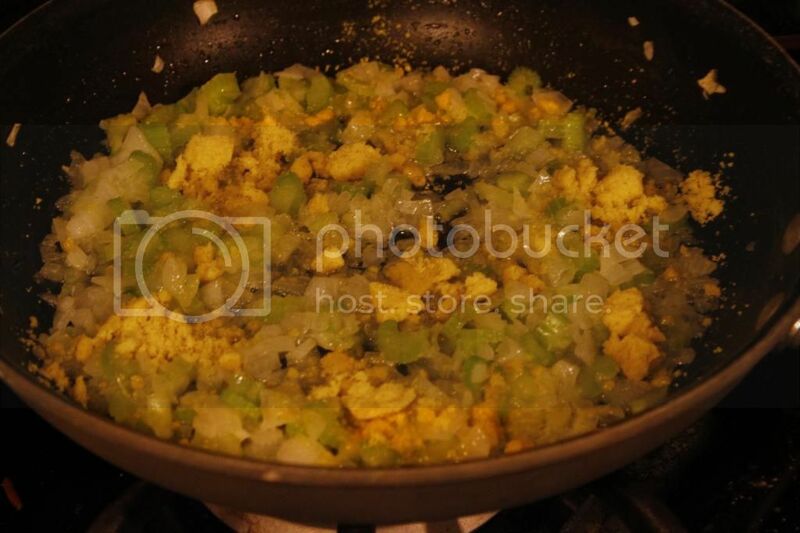 Also worth noting: I’m making a half recipe in these pictures because my husband doesn’t like dressing (I know, I know … ) and I know I will eat the entire thing myself if there isn’t anyone to stop me. So if the amounts of various ingredients look scant, that’s why. Preheat oven to 475F. 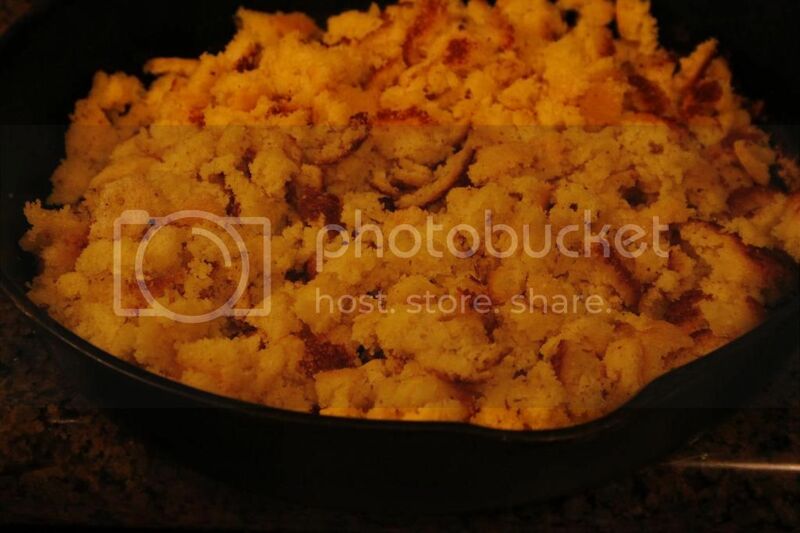 Put 3 Tbsp butter in a 9 x 9 pan (or cast iron skillet) and put them pan in the oven to melt the butter. 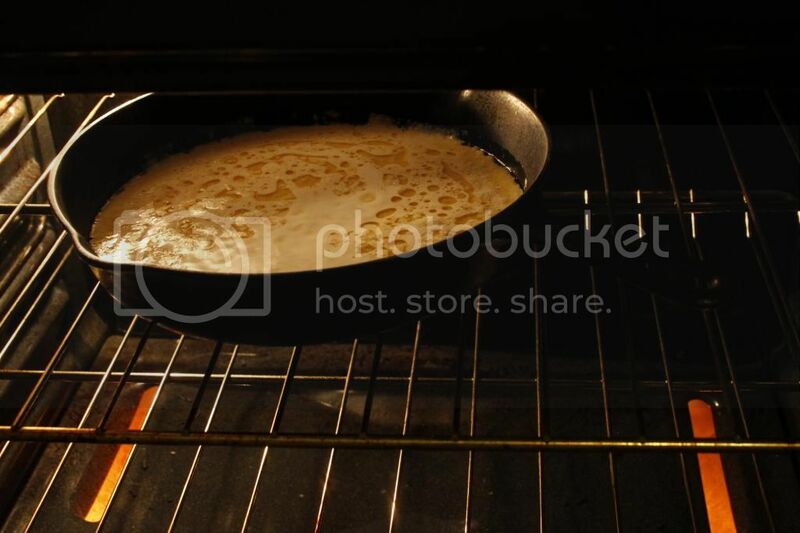 Pour the batter into the hot pan. Bake 15 – 20 minutes. Remove from the oven and let it cool. 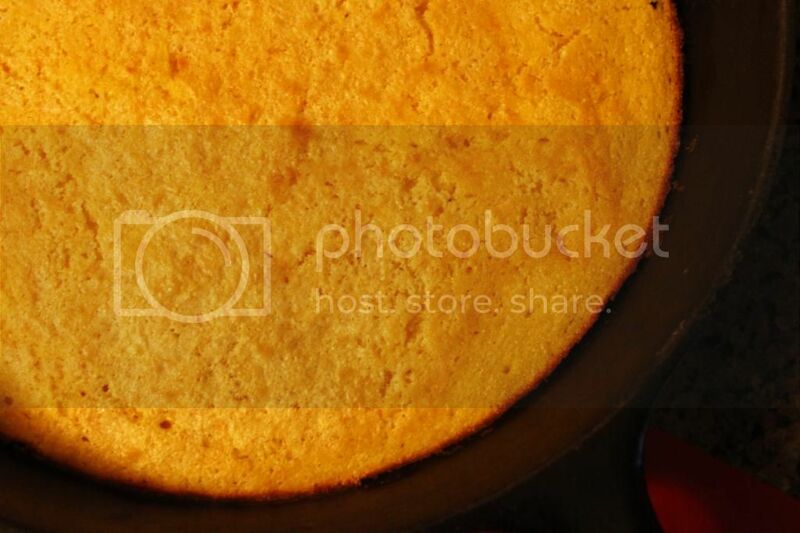 This recipe works best if you cook the cornbread a day in advance, but I’ve done it all in one day as well and it works out tasty too. 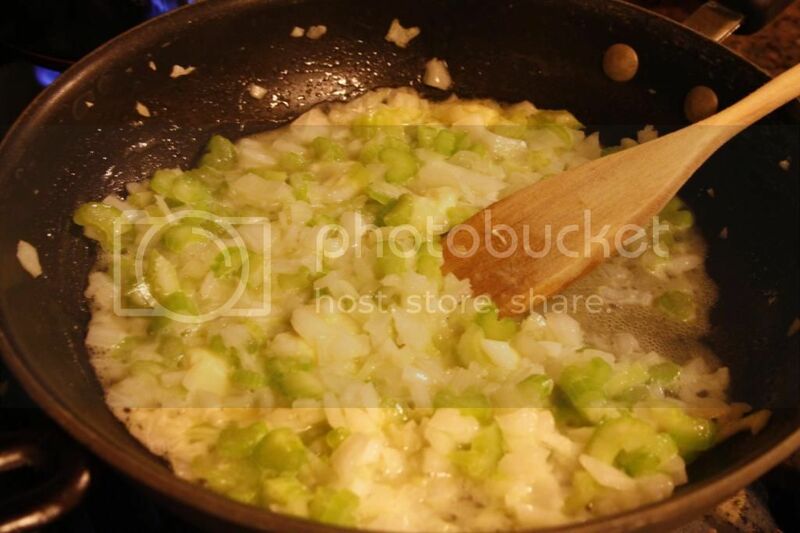 Melt margarine and saute onions and celery. 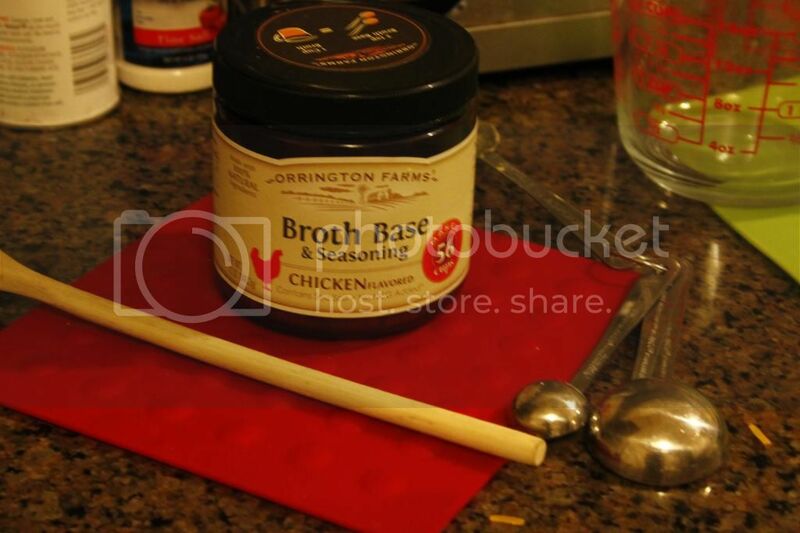 I love Orrington Farms broth base – it is gluten free and ahhh-mazing tasting. 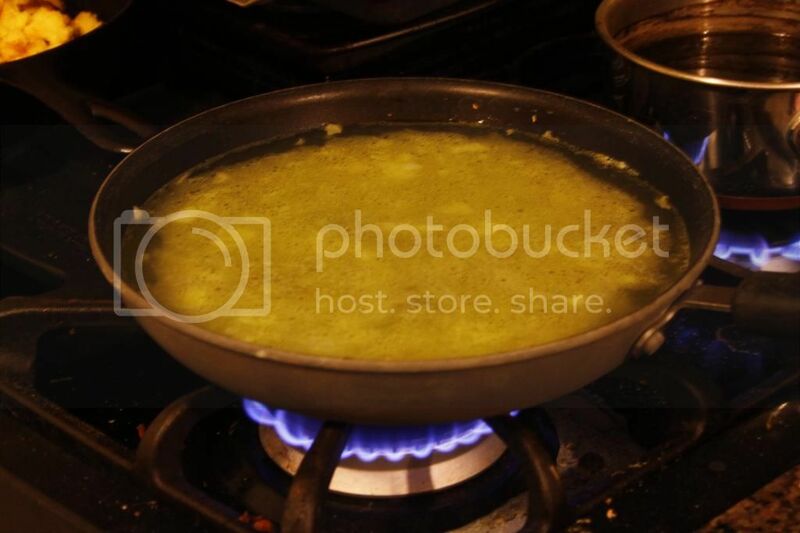 Let it simmer 5-10 minutes. 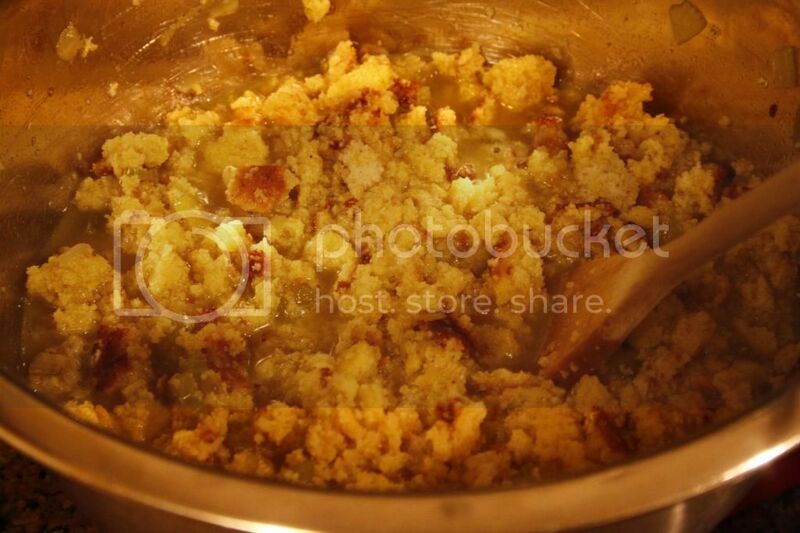 If your cornbread isn’t already crumbled, now is the time to do that. 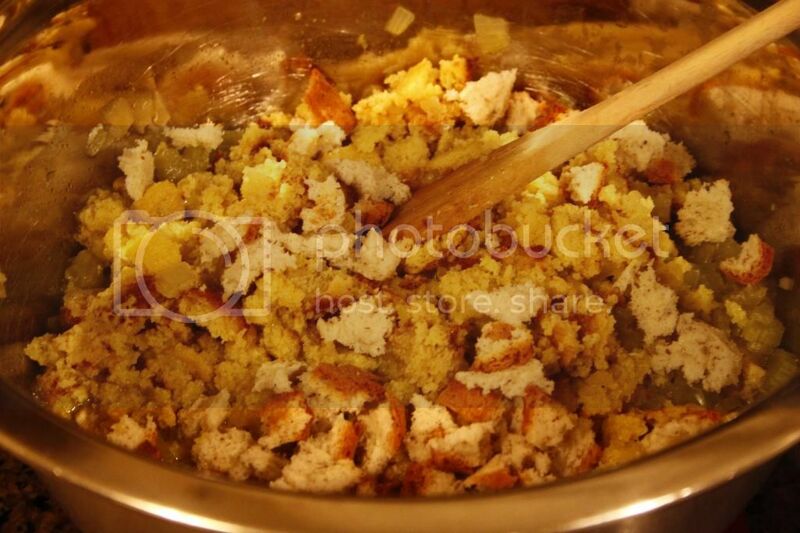 Beat the eggs and mix all the ingredients together – the eggs, crumbled cornbread, sage and poultry seasoning, and the broth mixture. Don’t forget the slices of bread. Salt and pepper generously. 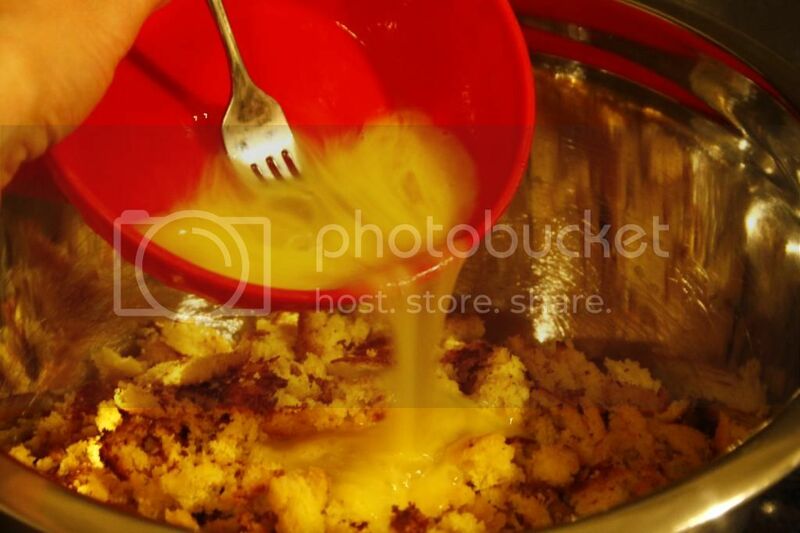 If it doesn’t seem moist enough, add a little milk. 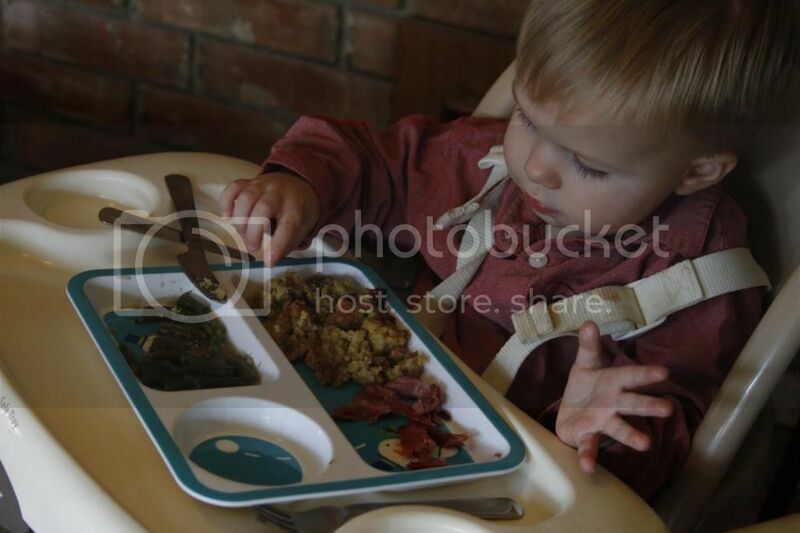 Pour it into a 9 x 13 pan. 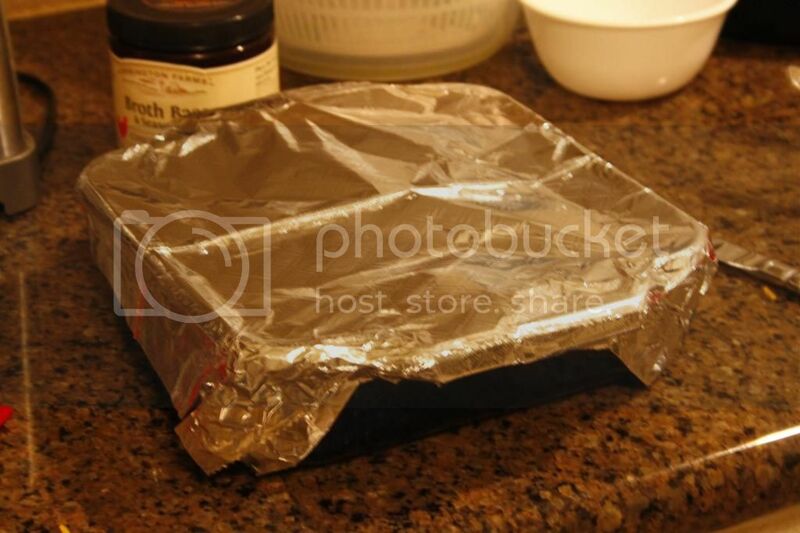 If you are making it ahead, now is the time to cover it with foil and stick it in the freezer. Just put it in the fridge a full 24 hours before you need to cook it to make sure it is thawed in time. 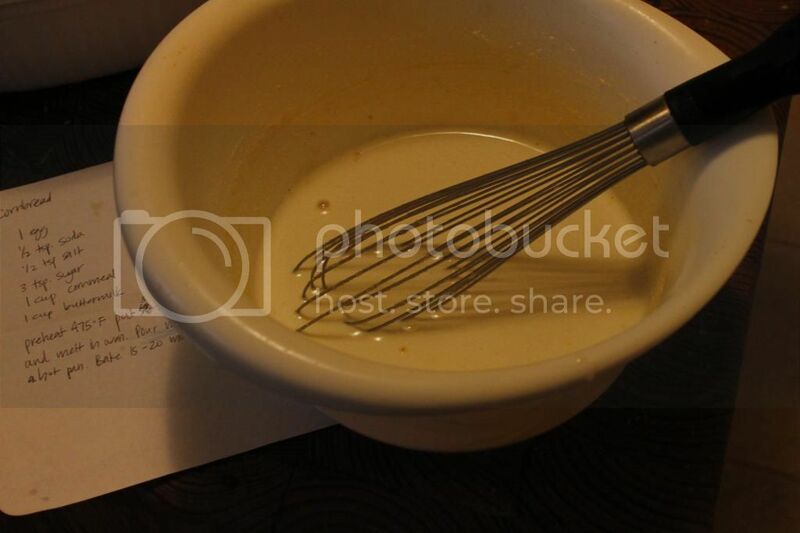 When you are ready to bake, dot with margarine and bake at 350F for 45 minutes to one hour.